Consumer safety and security are vital to America’s retailers. As the industry continues to innovate, building consumer trust is a top priority. RILA is working with lawmakers to help shape policies that protect our customers, enhance the consumer experience, and keep consumers and employees safe. Issue: Retailers are on the front lines of innovating the shopping experience for American consumers. As customers increasingly shop online and on mobile devices, they expect individualized, intuitive, and streamlined transactions. But as retailers constantly innovate, privacy concerns like the recent Facebook-Cambridge Analytica scandal and Marriott data breach have brought consumer data protection to the forefront. Retailers aim to work with lawmakers on real-world solutions to provide consumers with unparalleled services and products while also ensuring consumer data is treated with utmost care. Action: RILA continues to drive the national conversation on privacy and lead the effort for comprehensive federal consumer privacy legislation. Importantly, RILA will educate stakeholders on the impacts that state privacy regimes like the California Consumer Privacy Act have on consumers and businesses alike. RILA is also engaging with policymakers to underscore the need to update outdated privacy laws like the Telephone Consumer Protection Act (TCPA) that stand in the way of more robust privacy–enhancing consumer interactions. RILA continues to work with Congress and the Federal Communications Commission (FCC) on TCPA reform that will help retailers continue to innovate for the benefit of American consumers. Issue: While technology presents great opportunity, nation states, criminal organizations, and bad actors are using it to attack and disrupt America’s economy. Retailers are taking every precaution to keep consumers’ data safe. Unfortunately, no organization is immune from attack. Action: RILA is working with bipartisan stakeholders, including the tech and financial services industries, to help shape federal data breach legislation that contains strong preemption, capped penalties, a harm and information acquisition-based trigger for breach notification, and reasonable data security requirements. Additionally, RILA is working with lawmakers to promote policies that allow retailers to effectively communicate to their customers and safeguard customer data. Issue: Retailers strive to gain and retain consumer loyalty by providing quality, safe, compliant, and high-value consumer products sourced in a responsible and ethical manner. In meeting customers’ expectations, retailers face several challenges including a lack of transparency into global supply chains and a complex system of laws, regulations, and standards. 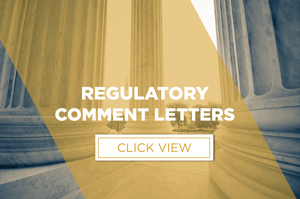 Action: RILA is working with local, state, and federal lawmakers to ensure that government requirements related to consumer products are based upon sound scientific data and advance safety objectives without undue burden on the industry or our customers. Issue: Since the passage of comprehensive tax reform, retailers have followed through on their promise to invest a good portion of the financial benefit in their workforce and their stores. Today, retail stores are the most frictionless and innovative they have ever been, from technologies like VR and personalization tools, to logistical and design aspects that improve customer satisfaction. It is imperative that retailers remain empowered to invest in their stores and employees. Action: RILA is actively engaged with policy leaders to ensure investment is able to continue following 2018’s landmark tax reform. This includes supporting important technical corrections that will allow retailers to invest in their stores and enhance the overall shopping experience.